District Governor Tom Wagner Visits! 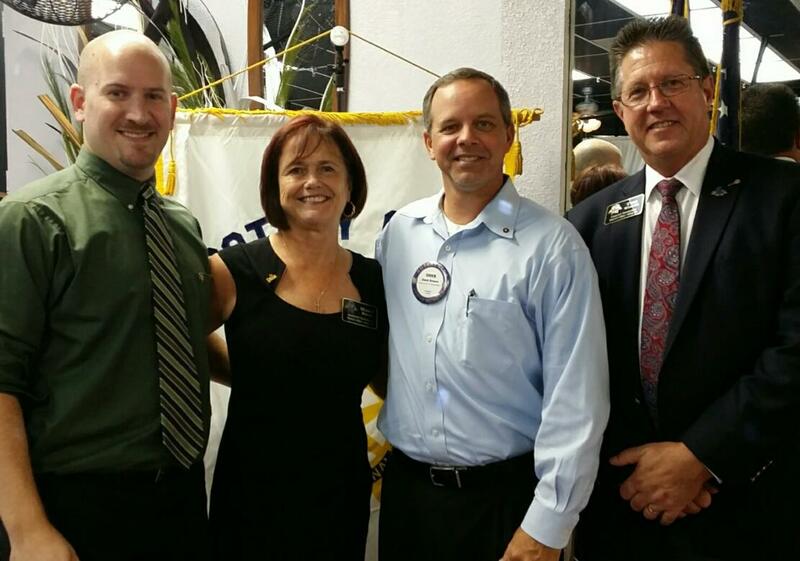 District royalty visited the Brandon Rotary Club this past week as District Governor Tom Wagner came to share the focus of our district. 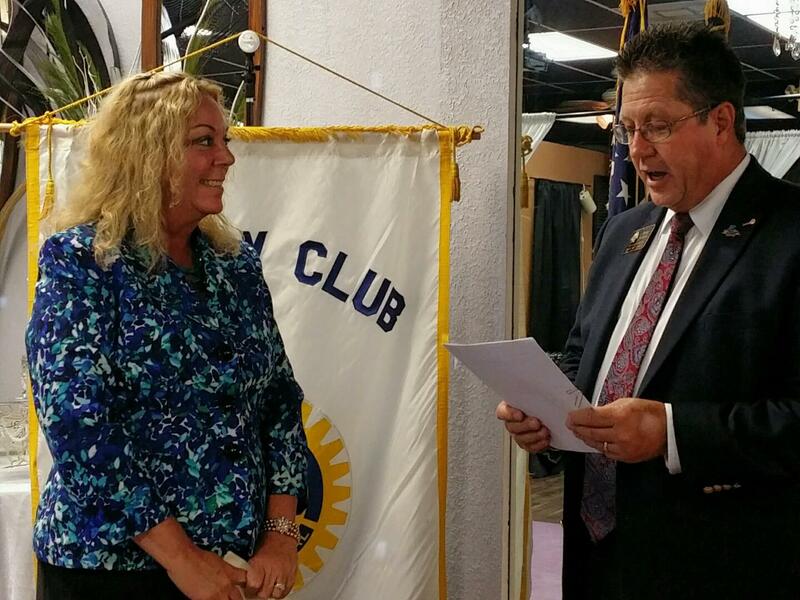 He also inducted our newest Rotarian, Maria Lewis, to the club. It was another jam packed weekly meeting with lots happening in the club. Scott Carter and Steve Moran gave everyone an update on the Saturday, October 24th Casino Night and tried to encourage everyone to sell at least six tickets to the event as well as consider having their businesses sponsor at some level. Chuck Burgess updated the club on the new playground event that happened at Rotary's Camp Florida. Their partnership with Met Life and Kaboom! was tremendous as they had over 300 volunteers from Rotary Clubs throughout the area, district leaders, Hillsborough County Sheriff's Office and others that helped construct the new playground. President Chuck also announced the Fall Fireside Chat which will be held at Rotary's Camp Florida on Thursday, October 15th. All Rotarians former, current or future are all invited. John Dwyer will be running the show. Sign up sheets will be available at next week's meeting. After all of the formalities had been taken care of, District Governor Tom did the induction honors for Maria Lewis. President Chuck pinned her, and Maria made sure to thank the Club for all of their hospitality. She had visited several clubs in the area and felt like this was home to her. Welcome, Maria, we know you are going to make a great Rotarian for our club! Assistant District Governor Mary Boor then introduced Tom Wagner as our guest speaker. 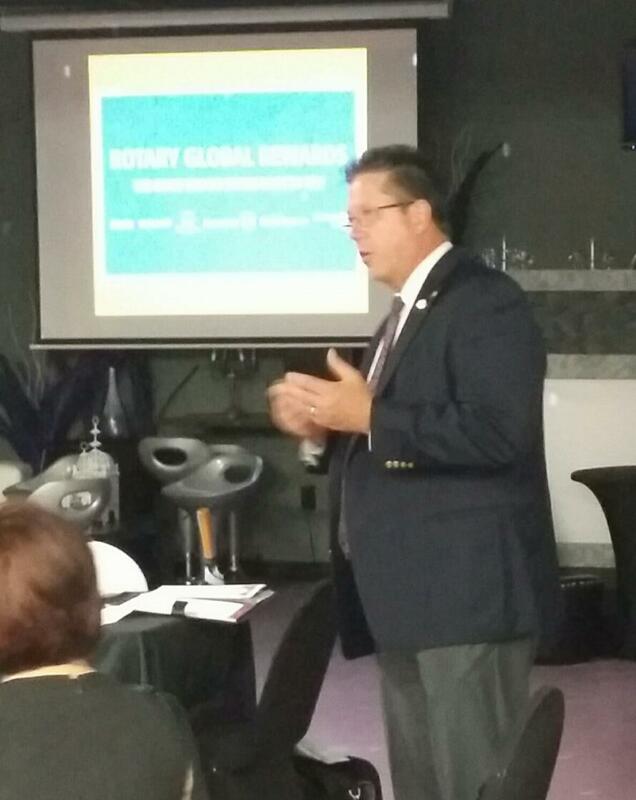 Tom gave a wonderful presentation regarding this year's theme of "Be A Gift to the World" as well as an update on where Rotary is internationally with its goal of eradicating Polio from the face of the earth. This past month was the first month in Africa's reporting to be polio free! The efforts of Rotarians worldwide has cornered polio into two countries - Pakistan and Afghanistan, and the efforts are increasing in these areas. This is our Rotary Foundation dollars at work! District Governor Tom also thanked our club for its longstanding support of Rotary International as well as our leadership at Rotary's Camp Florida and our new Rotary Event Center. It is great to see the leadership at the district level in supporting all local Rotary clubs! The meeting wrapped up with another reminder to get out there and sell Casino Night tickets!! Anniversaries - Ron & Rita Croone - October 10th - 56 YEARS!! Wow! !